The team at Porsche Tacoma would like to welcome you to our dealership in Fife, where we’re confident you’ll find the vehicles you’re looking for at a price you can afford. Come and check out our full selection of new Porsche vehicles, or get a great deal on a reliable pre-owned model. No matter which vehicle you decide on, our professional finance team will help you get settled with a competitive financing or lease plan. When you’re looking for quality auto maintenance and repairs near Fife, you can always count on the professional technicians in our Porsche service department as well, where we handle everything from oil changes and filter replacements to powertrain and drivetrain repairs. Schedule an appointment today, or purchase parts from us to handle maintenance and repairs on your own! Lots of folks in Fife count on the high-quality vehicles and services found at Porsche Tacoma, and we look forward to living up to our reputation every day. Stop in and see us today, or contact our staff with any questions! 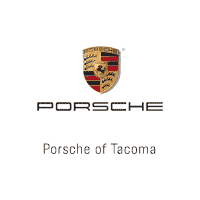 Porsche Tacoma has an excellent staff, and crisp showroom with the perfect array of cars. We were greeted at the door by the General Manager Stanton, whom was happy to show us a car and even take us on a test drive in not only the Porsche Cayenne but also a Audi Q7.He seemed to be freshly excited about showing us either of the cars and once he turned us over to the Sales associate Andre the professional attention did not change one minute.Unfortunately at this time we are still torn between a few other options but we will definitely keep Porsche Tacoma and the Cayenne in the 1st choice box. These guys are a class act and they did not lose interest in us or treat me or my family as a waste of time once we told them we would not purchase today. in fact they encouraged us to make sure that this was the best choice for our family. Thank you for being sincere and low pressure. I wanted to give a big Thank you to Stanton and Paula for helping me with my first Porsche. I have now had my car for a month and it has been everything they said it would be.Stanton did a great job explaining the steps of purchasing a car out of state and getting my registration set up with Oregon. The experience that I had with him over the phone was perfect and exactly what I expected from a Porsche Dealership. I am a very simple person to deal with I like facts and things to be laid out in an order that makes sense to me. Stanton took very good care and attention to all the details and concerns even after my purchase was complete he still treated me like I was a family member instead of a client.That is what will bring me back for me 911 in a year . Service department is top notch thank you for the great Porsche experience. Really big selection of new and used vehicles. The staff is very knowledgable and willing to give you a tour. Check them out, and fall in love with you're next car.